Repaying the debt owed & keeping thy fame inviolate by Amalean brothers! Fully funded by the MAS group at a cost of over LKR 150 million (equivalent to USD 1 million), the Arena a first of its kind, provides facilities for a number sports such as boxing, wushu, fensing, wrestling, chess etc… for the present and future Royalists. Welcome address was delivered by the Secretary of the Royal College Union, Athula Munasinghe stated that this is the largest donation given by a single individual or a family in the history of Royal College, spanning over 181 years. He thanked MAS group for sponsoring and Nandana for providing his services for an artistic design free of charge, Maj. Gen. Channa Goonatilake & his team for volunteering the construction in a cost effective manner, the past principal & the past secretaries of the RCU, Manju Ariyaratne in particular, under whose tenure the project initiated. Principal, B.A. Abeyratne, briefly explained what ‘Arena’ means & how this word was derived from a latin word. 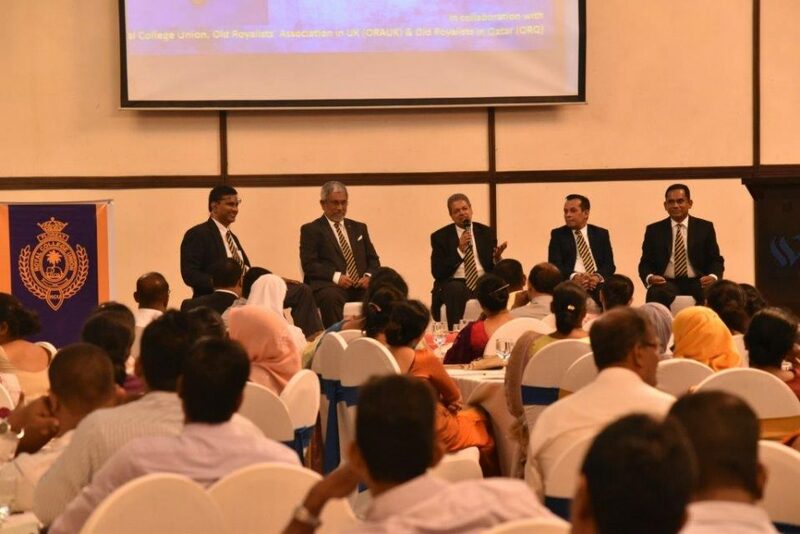 He thanked all those who contributed in making this complex a success including the past Principal Upali Gunasekara, for initiating the ground work on 3rd July 2014 and the past and present Army commanders. He also commended of having old Royalists of this nature & urged the present Royalists to preserve the facilities to the future Royalists as well, while making the maximum use of it. He recalled named of some eminent old Royalists who have repaid their debts owed to this great institution (established as “The Colombo Academy” by Governor Robert Wilmen) in their own spheres, be it civil, political or military. He quoted a saying of former US President George W Bush “No child be left behind” He further stated that the greatest gift you can give to a nation is to “Educate the young”, as the development depends on the education system of a country and pledged that the government will develop National & Zonal schools to a level of post-secondary education, mandating 13 years of school (Primary & secondary) education with subjects such as English & Science made compulsory, with the introduction of novel education techniques to schools in suburbs as well. 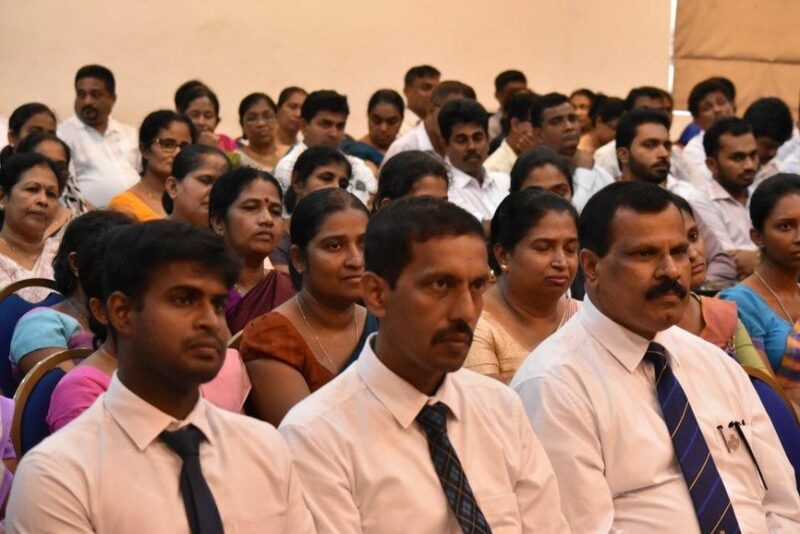 Minister of Education Akila Viraj Kariyawasam stated that his ministry will present the proposed education reforms to the parliament in May and develop other schools by providing the required facilities, under the able leadership of the Prime Minister. Tokens of appreciation to the three Amalean brothers were handed over by the Hon. Prime Minister, while the architect Nandana Karunasena was felicitated by three of them for his free architectural services provided. Deshamanya Mahesh Amalean recalling his past memories as a school boy at Royal primary, stated that the idea of a gym was proposed in 2010 at the commemoration of the 175th anniversary of the College, which the MAS group committed to support, even after the scope got expanded to an ‘Arena’. 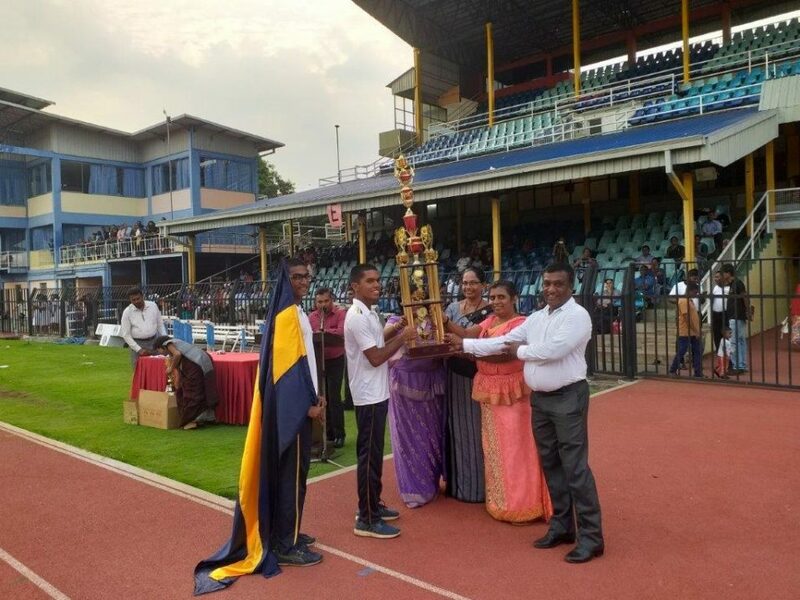 This, in his view will create new memories in young Royalists while being competitive, disciplined and most importantly developing good sportsmanship to be valued citizens. The boxing ring was declared open by having an exhibit bout between the current boxing captain of Royal College & the immediate past captain, which was the inaugural bout of the Arena. Your ticket for the: Repaying the debt owed & keeping thy fame inviolate by Amalean brothers!